Cranberry Festival and Harvest in Fort Langley BC Canada. red berry fruit known as a Cranberry. 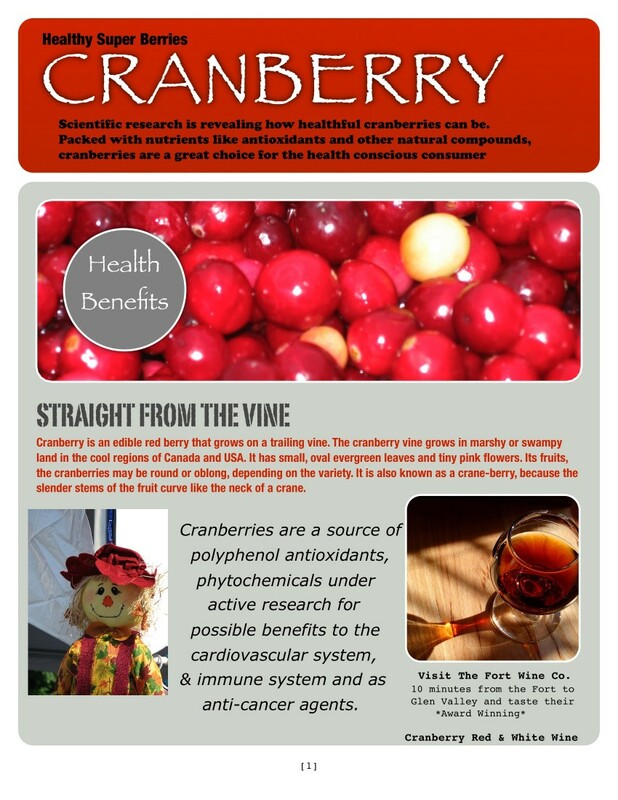 Cranberries are low, creeping shrubs or vines up to two meters long and five to twenty centimeters in height. They have wiry slender stems that are not woody and have small evergreen leaves. The flowers are dark pink with reflexed petals, leaving the style and stamens fully exposed and pointing forward. The fruit is an epigynous berry that is larger than the leaves of the plant, beginning initially as white, then turning a deep red when fully ripe. They are pollinated by domestic honey bees. This superfruit is edible, with an acidic taste that can overwhelm its sweetness. 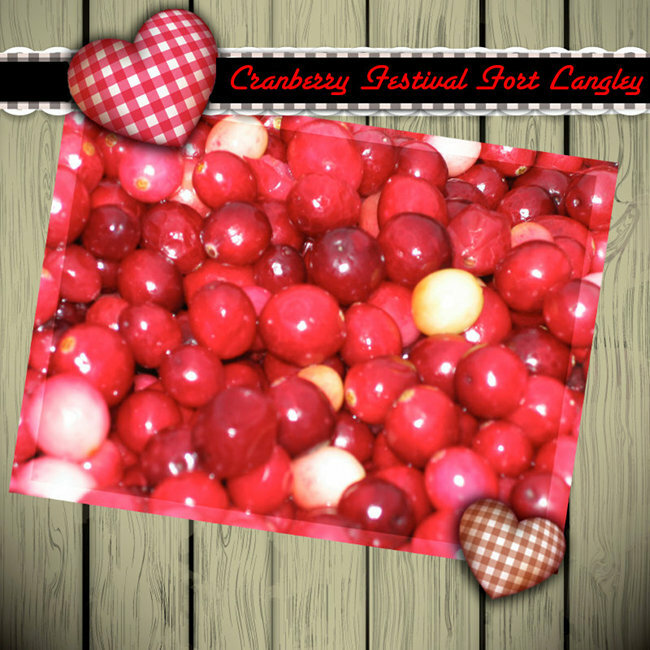 Cranberries are a major commercial crop in Fort Langley and Fraser Valley and Canadian provinces. Most cranberries are processed into products such as sauce, juice, dried cranberries or sold fresh to consumers. Cranberry sauce is regarded an indispensable part of Canadian Thanksgiving treats. These berries are popular for the nutrient content and antioxidant qualities, giving them commercial status as a "superfruit" alongside blueberries.